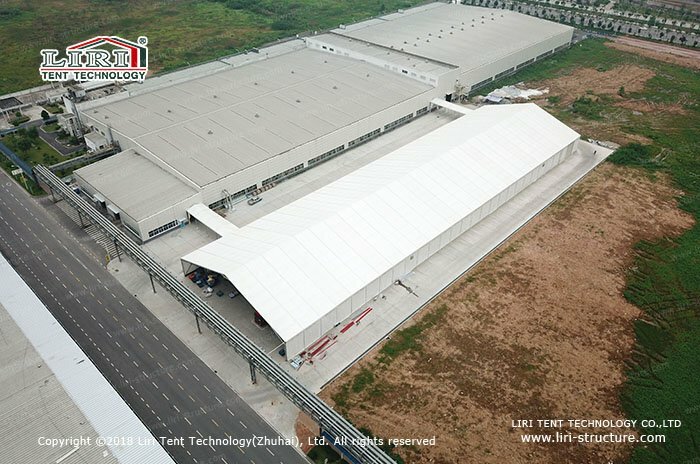 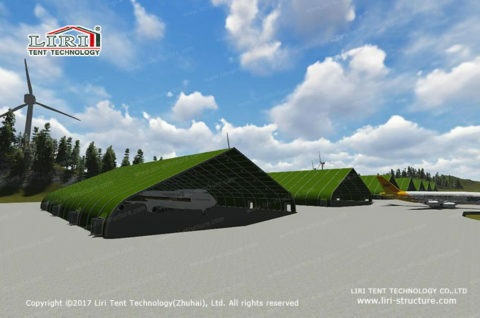 Liri Tent TFS series is designed for Aircraft Hangar Tent with the high arch roof. 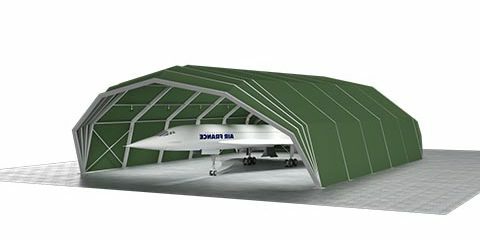 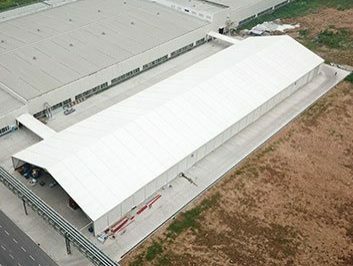 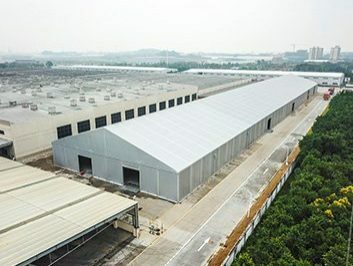 The span from 18m to 50m, this hangar tent provides enough space for helicopter and aircraft. 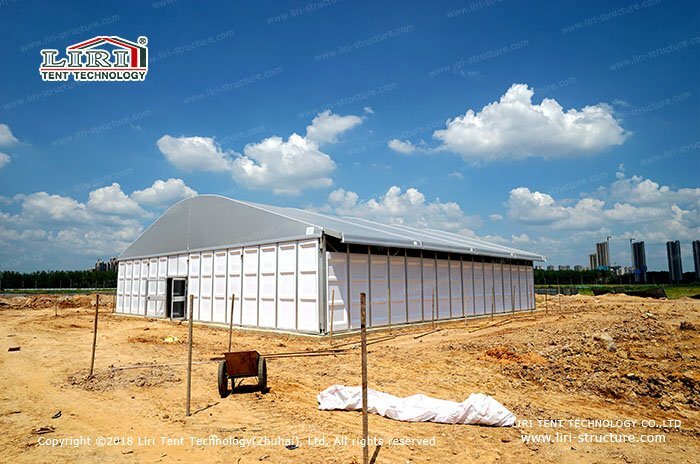 With its strong aluminum profile and fireproof PVC fabric cover, hangar tent is durable and strong enough to stand a high wind speed up to 100KM/h. 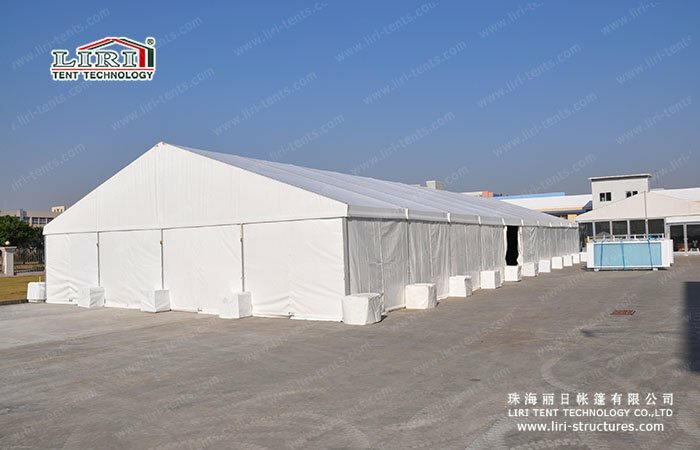 The hangar tent is durable and sturdy which able to resist up to 100KM/hour. It’s small transport dimension, easy assembling and disassembling characters make this tent to be the best choice for hangars of Naval Aviation and Civil Aviation and other enterprises. 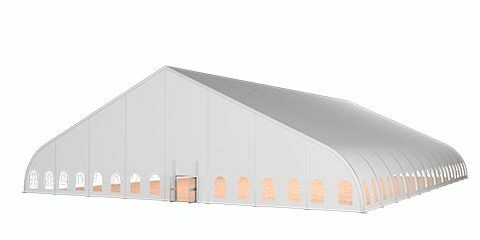 Hangar tent is the best choice for private helicopters since it is relocatable, easy setup and dismantle and cost-effective. 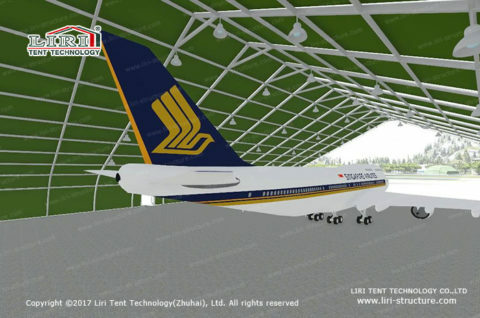 We also provide custom design according to your requirements. 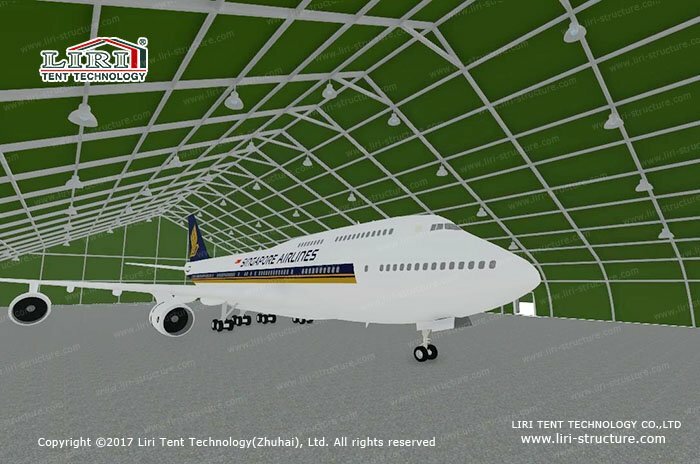 For example, we can adjust the roof height and other specifications according to your aircraft size and can provide doors, floors etc. 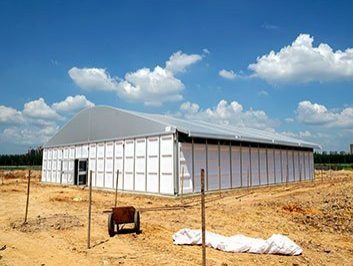 We also provide installation guidance to your jobsite if it is your first time setting up a hangar tent.